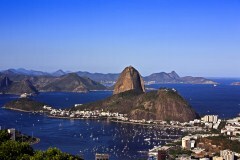 Visit Rio’s iconic sites including Copacabana Beach, Christ the Redeemer and Sugarloaf Mountain. Relax on the beautiful beaches and tropical islands to the south of Rio including Paraty and Ilha Grande. 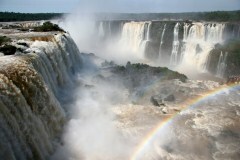 Add in a side trip from Buenos Aires to Uruguay for either a day trip to Colonia or a 3-4 day trip including Montevideo. 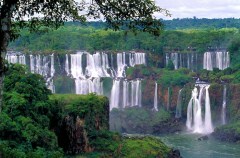 Visit one of the excellent eco lodges located close to Iguazu for some excellent bird watching opportunities. A trip to South America wouldn’t be complete without a trip to the jungle and we can easily add in a few days in the Amazon for you. On arrival at Rio de Janeiro airport you will be transferred to your beachside hotel. This evening you are at your leisure and we recommend trying a local churrasco (Brazilian BBQ) for dinner. 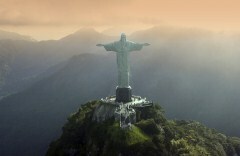 Depart from the hotel to visit the Christ Statue, recently elected as one of the seven modern wonders of the world. The statue sits 2,300 ft. above sea level, atop Corcovado Hill. Following a scenic drive along the Rodrigo de Freitas Lagoon, we will arrive at the foot of the hill, where we will embark on a small train ride up the beautiful mountainside. Upon reaching the top, visitors will experience a panoramic view of Rio de Janeiro and discover why it is known as the “Marvellous City”! From here we will drive to Santa Teresa, a traditional neighbourhood located high upon the hills of the city, overlooking downtown and Guanabara Bay. Home to several Twentieth century mansions, cultural houses, galleries and gourmet restaurants, Santa Teresa’s charming cobbled streets are also a haven for local artists and intellectuals. You will have time for a quick snack in Santa Teresa before we return back to your hotel and have the remainder of the afternoon and evening at leisure. At night the city doesn't sleep, so there are great options for relaxed, live music and samba shows, plus a host of world class restaurants serving fine Brazilian and international cuisine. Over a million tourists every year visit the world famous Pão de Açúcar (Sugarloaf Mountain), which has become an iconic symbol of the city of Rio de Janeiro. Rising up from a small peninsula at the entrance of Guanabara Bay, its name is said to refer to its resemblance to the traditional shape of concentrated, refined sugarloaf. A cable car takes passengers to the top of Urca Hill, which rises 215 metres above sea level and offers spectacular views of the entire bay and its islands. From Urca Hill, passengers continue in a second cable car to the top of Sugarloaf, which rises 395 metres above sea level and offers a 360 degree view of the entire city, including Botafogo and Copacabana Beaches, Corcovado and downtown Rio. Our representative will pick you up from your hotel and transfer you to Rio de Janeiro airport for your flight to Iguazu. 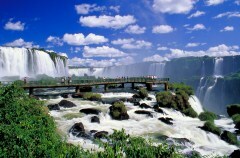 On the way to your Iguazu hotel, you will enjoy a tour of the panoramic Brazilian side of the falls. Here, you'll watch as 14 separate waterfalls drop with such force that a tall cloud of mist stays permanently suspended overhead. Great photo opportunities abound, however, raincoats are highly advisable! 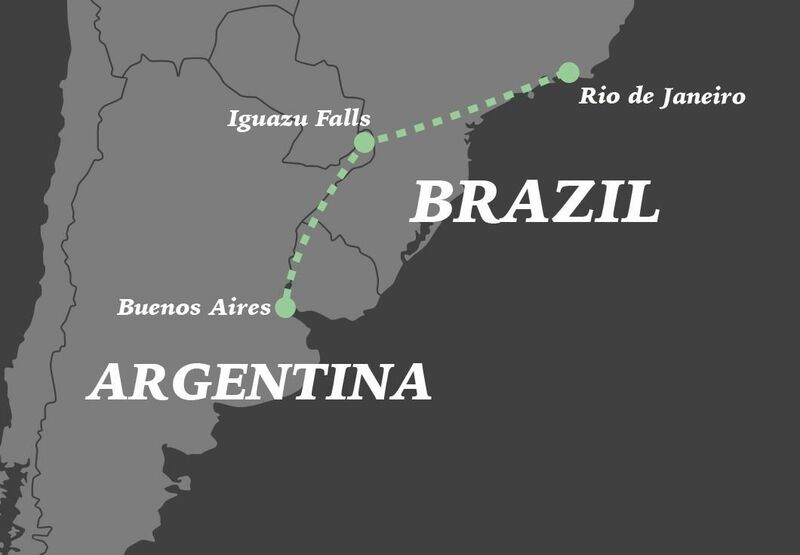 Our representative will pick you up from your hotel and transfer you to Iguazu airport for your flight to Buenos Aires where you will be transferred to your centrally located hotel. This evening, you are free to explore. We recommend you try a local parilla (steak house) for dinner. 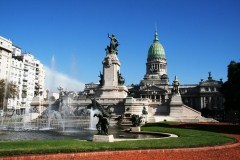 Day 7: Buenos Aires - Centro, San Telmo & Boca half day tour. Evening Tango show. * Before the show you have the option of arriving before the others and taking a short tango lesson with a professional dancer or a wine tasting. This comes at an additional cost but if you would like to book either of these please let your consultant know. Our representative will pick you up from your hotel and transfer you to Buenos Aires airport for your departure flight. Hotel rates are based on lead-in rooms. Other room types and hotels are available. Rates are subject to change and different rates may apply during holiday seasons and special events (Carnival / New Years Eve / World Cup). *Internal airfare prices are based on your arrival into South America being with LAN Airlines. Supplements may apply if you arrive with another airline.